When I was promoting this book recently someone commented on Facebook ‘Yes, but how many novels has she actually written?’ Of course I forgive her, because I’m not famous and she’d never heard of me! But in a way she had hit the nail on the head. This book is written from my personal experience of writing and publishing two novels with a major publisher, so you’ll get plenty of tacit knowledge. I also tell you stuff that I didn’t know at the time – so I learnt it the hard way. Plus, I’m writing another novel now, so I’m going through the process with you. Plenty of people will tell you that novel writing is a mysterious process. There’s something ineffable and undefinable about it. Well, I’m here to tell you that’s not true! It is not only possible, but it’s actually enjoyable, to break down the novel writing process into manageable chunks, and to find time in your life to write your book: this book shows you how. Most books on novel writing give you a system for doing it. This book gives you a system and helps you to fit the writing into your everyday life using tried and tested time management and productivity techniques. 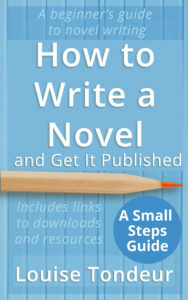 How to Write a Novel and Get It Published is based on the Small Steps method. 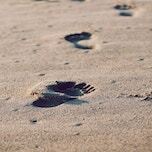 Because you can take any daunting task and break it down into smaller and smaller steps until it becomes manageable, you can take small steps towards planning, writing and finishing a novel and getting it published.